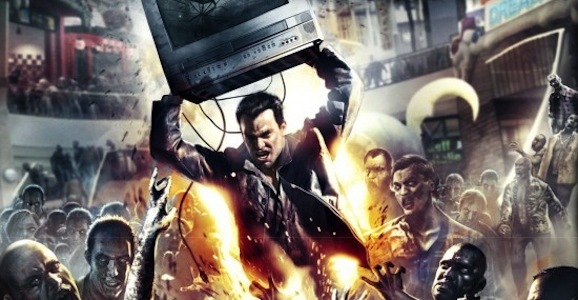 Given the popularity of both zombies and video game movies, it’s a little bit surprising that it has taken so long for us to get an adaptation of Capcom’s popular Dead Rising, but now there’s been some serious forward movement on the upcoming project. Legendary Entertainment, Crackle, and legendary producer Lorenzo di Bonaventura have hired Zack Lipovsky to helm their undead actioner. The Wrap reports the news, and while adaptations of video games have a long and checkered past, to say the least, Lipovsky may be the perfect man for this particular job. He’s primarily known for his visual effects work, and appeared as a contestant on the Steven Spielberg-produced reality series On the Lot. Though he only has one feature directing gig under his belt, it is the latest installment in a venerable, not to mention ridiculous, horror franchise Leprechaun: Origins. That seems like a great warm up for a movie like Dead Rising, as do his stints behind the camera on schlocky Syfy fare like Tasmanian Devils. You probably already know this, but LEGO makes everything better. Take, for example, the season 5 trailer for AMC’s mega hit The Walking Dead. The preview for the zombie drama is already all kinds of intense, full of intrigue and hints about the direction of the popular series, but when you watch Rick (Andrew Lincoln), Daryl (Norman Reedus), Glenn (Steven Yeun) and the rest in tiny plastic form, that’s hard to beat. The level of detail in this video, which comes from YouTuber Kristo499, is pretty intense, and the stop-motion animation used to animate the figures is fantastic. Can we start a petition and send it to AMC so that they only produce episodes of The Walking Dead in this form from now on? I could really get behind that idea, what do you think? We can keep all of same actors, just use their voices, that way we won’t have to get rid of Daryl, everyone else is expendable. Over the course of his career, Arnold Schwarzenegger has battled many nefarious foes, including vicious alien hunters, robots from the future, terrorists, organized crime, mercenaries of all varieties, and even the devil himself. And that’s not even taking into account his foray into politics, where I imagine he ruled over the state of California Conan-style, swinging a sword, dressed only in a loincloth and helmet. Maybe I should pay more attention to politics. One thing the Governator hasn’t ever taken on, however, is a zombie, but that’s about to change with the new movie Maggie. And he has to face off against a teenage girl zombie to boot. We haven’t heard much from the film lately, but now we’ve got a handful of photos to look at. Schwarzenegger plays a Midwestern farmer who must stay by the side of his teenage daughter, played by Abigail Breslin (Ender’s Game), as she gradually makes the transition from a normal adolescent girl to flesh-hungry teenage zombie. While these images don’t show much in the way of zombie action, you see Arnold’s Wade character taking care of Breslin’s Maggie (who saw that coming? ), and you get a slight glimpse of the changes she’s going through (because being a teenager isn’t hard enough and full of other changes). We recently wrote about the potential adaptation of the best selling zombie video game Dead Island, which, pardon the pun, came back from the dead after it hadn’t been heard from in a long time. In that report, we also mentioned the upcoming sequel, Dead Island 2. Well this morning, game publisher Deep Silver released a new gameplay trailer for the game, and it’s here to show you just how many ways you can kill a zombie, and how much fun you can in the process of bashing, slashing, and blasting the undead to smithereens. And that’s exactly what you see in this footage. Just a heads up, this game might not be for the faint of heart, there are guns, guts, and gore splattering everywhere. When they say “Come for the sun, stay for the slaughter,” by all appearances they mean exactly that. “Fry ‘em, freeze ‘em, slice ‘em” isn’t just hyperbole, you can do all of that and more. There are hatchets, machetes, clubs, shotguns, and even more improvised weapons, like a weed whacker with spinning blades attached to the base.